A minimum of 14 days prior to your waxing appointment make sure you have not used any of the following: all home or professional skin peels (including AHA and fruit), microdermabrasion, Retin-A creams or Retinol creams, (or any similar exfoliating treatment). 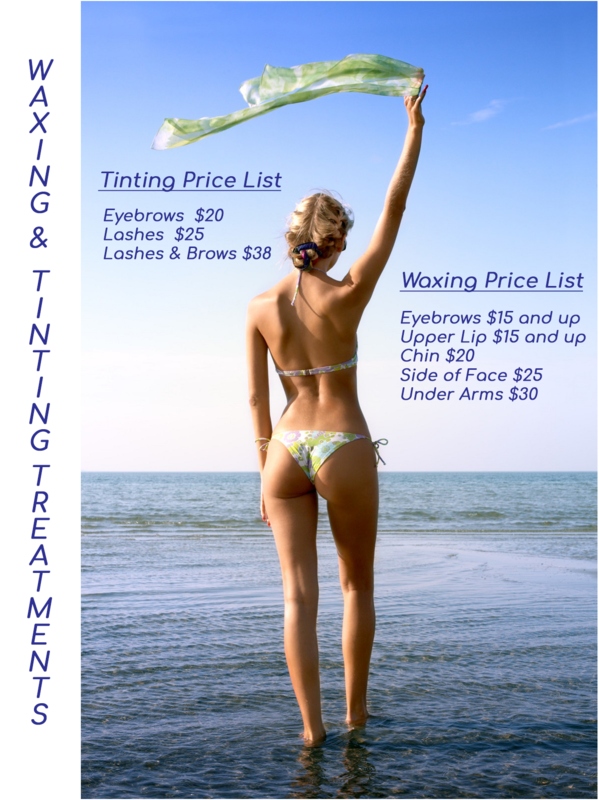 And a minimum of 7 days before your waxing treatment avoid: any spray tans, tanning beds, sunbathing , etc. Also, taken into account in wax selection is the type of hair to be removed (color and coarseness), skin type, ambient room temperature where the treatment is taking place, the speed of the treatment and the sensitivity levels of both the skin and client. Skilled techniques mixed with quality wax and proper after care is what will give you the best results. Post care can affect the quality of the waxing job you receive. Avoid exposing the waxed area to sunlight/sunbathing for a minimum of 72 hours after waxing. On the fourth day after a wax, lightly exfoliate the area to prevent any ingrown hairs, wax rashes, bumps or reactions. Do not use any Retin-A or Retinol type products (including home peels) for 7 days on the waxed area.